Wavelet is all about the power of words and making memories last forever. When people go to their web site (or for the time being their Kickstarter), they record or upload a message that they would like to communicate to a friend or loved one. 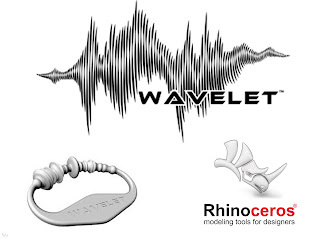 They take the soundwave, or audio waveform, of that message and transform it into a 3-Dimensional piece of jewelry that they can give as a unique gift. The company's main goal is to give people a truly unique new way to express affection and facilitate connection. The method created to produce their silicone rubber bracelets is one that takes advantage of the parametric processes found in Rhino. 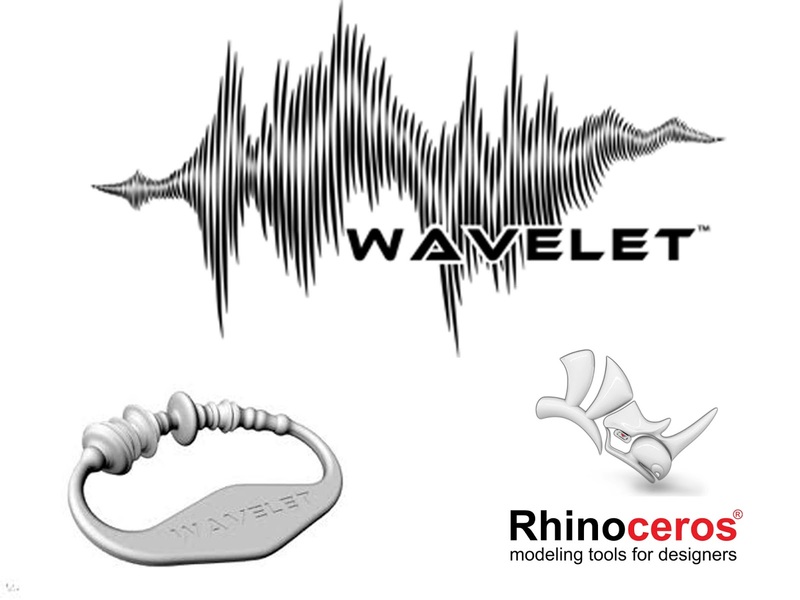 Nick O'Donnell states, "From the moment they receive an audio file until the moment the bracelet is ready to be extruded and created, Rhino is the software we use." For more information please contact Nick O'Donnell.